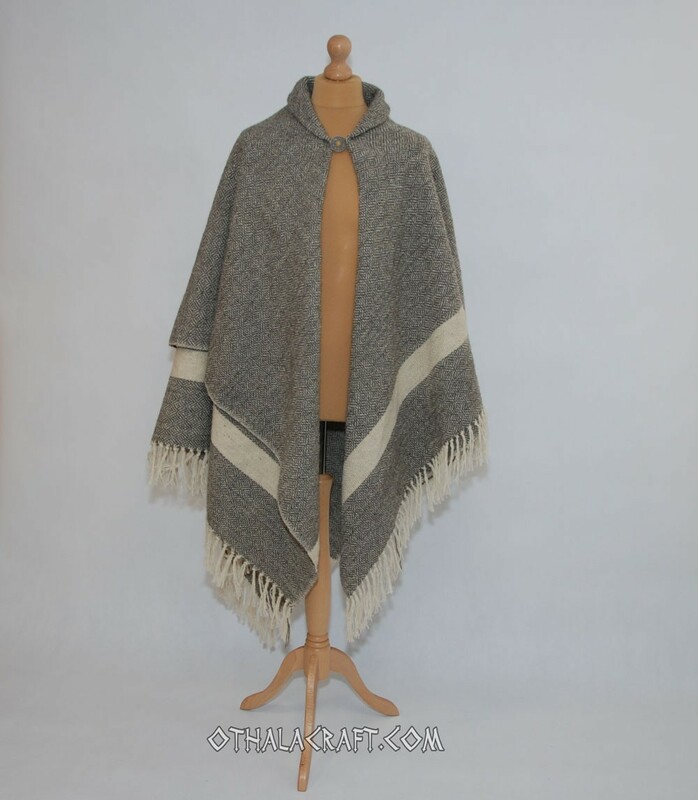 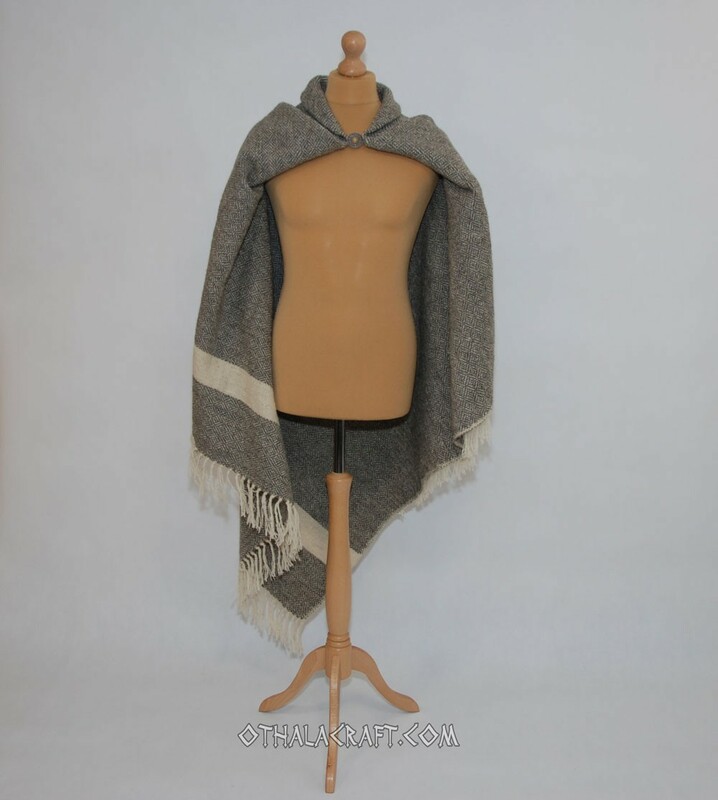 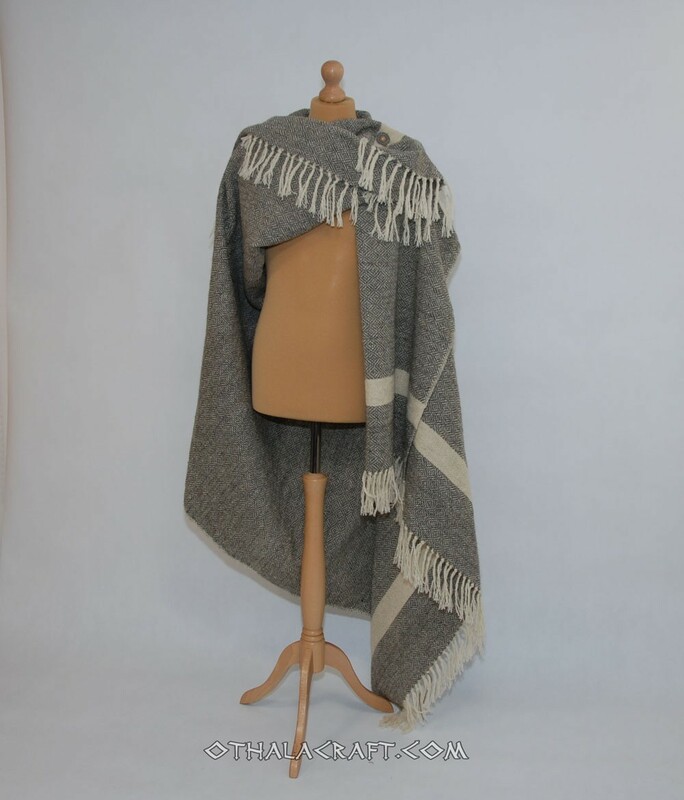 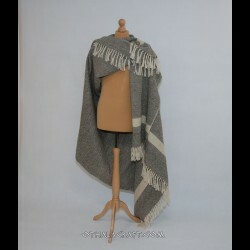 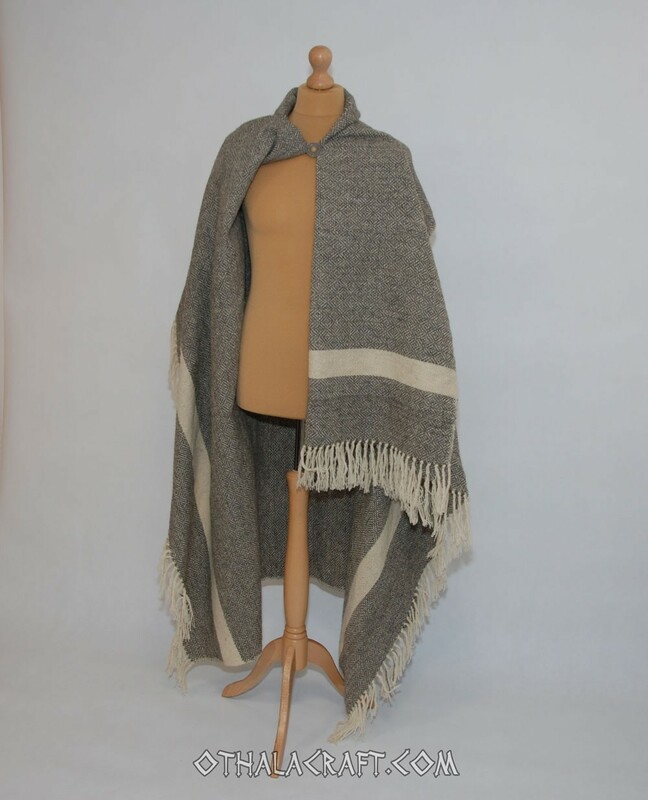 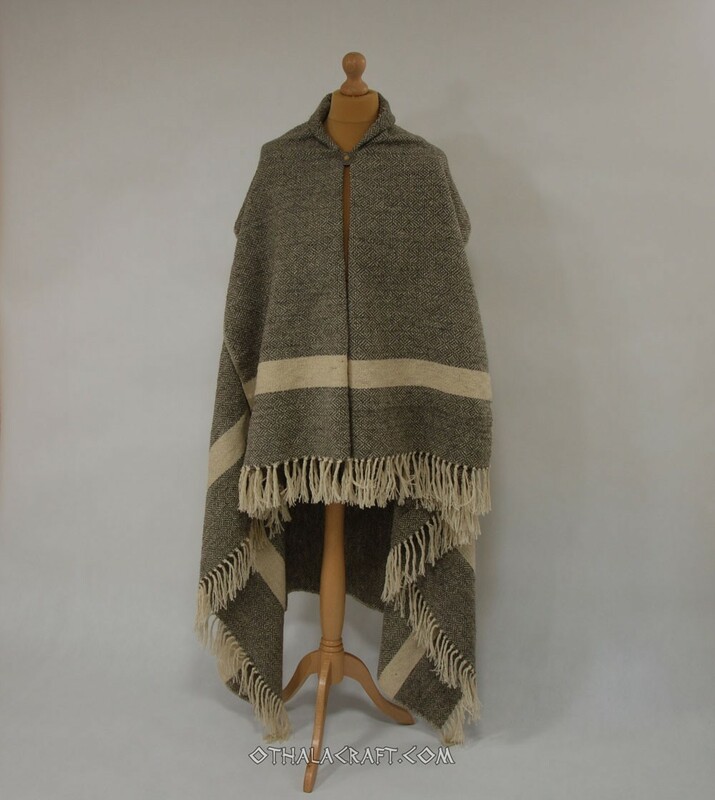 Handwoven cape made of 100% wool in a diamond pattern. Wool in white and natural gray color, can be used as cape or also as a blanket. 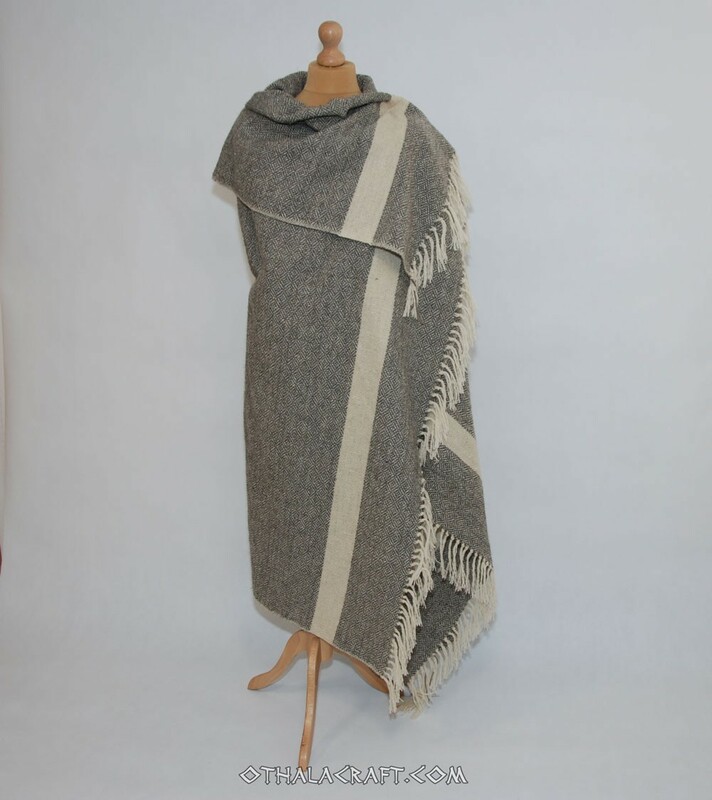 Rectangular shape 176 cm x 200 cm. 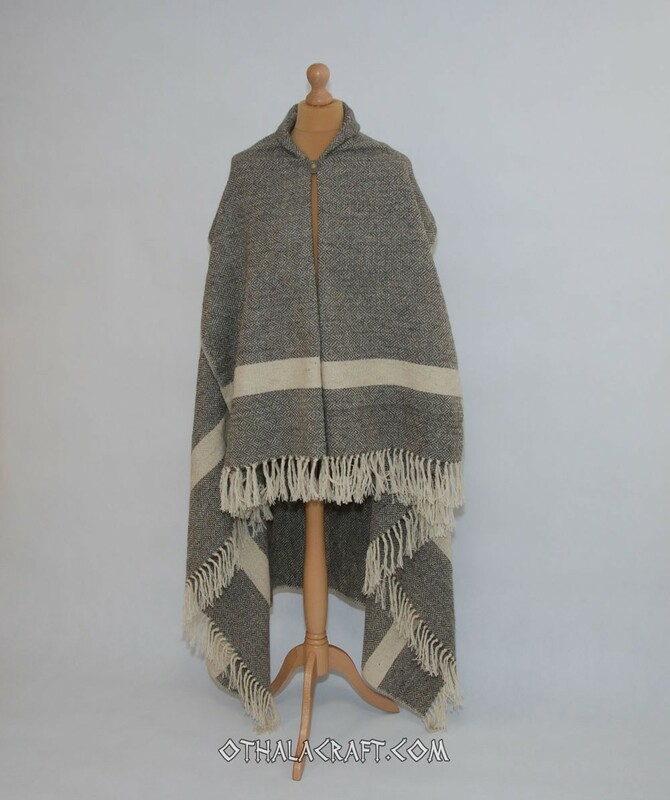 This kind of capes are known from iconography.